Mariah finally got out of her rut (while she’s has a few good singles, the last Mariah Carey project that I liked in its entirely was 2005’s Emancipation of Mimi) with this year’s surprise hit Caution. Instead of trying to make a formulaic hit, Mariah got back to writing her soul wrenching lyrics and worked with the hottest producers instead, like DJ Mustard and Timbaland, to make both a timely and classic album. She also stepped out the box and worked with producers Nineteen85 and Blood Orange. Full disclosure, I’ve haven’t seen any previous iterations of this movie and I didn’t have any expectations because I’m not a huge county fan, but I loved this movie and soundtrack. My emotions! My emotions! This is the Lady Gaga we need. I would describe Scorpion as the “choose your own adventure” album of 2018. This album could be an inflated mess with too many songs. It could be a rap album. It could be an R&B album. It could be a long interlude to Drake finally confessing he has a kid. 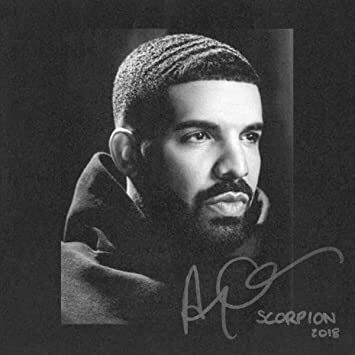 I choose Scorpion to be a perfect mix of songs to make any mixtape I feel like. Its been a long time since movies soundtracks were exciting and we ave two on the list this year. Kendrick is great at a concept album, and taking the concept of Black Panther and giving a voice to the characters and the spirit of this fictional country was amazing. Two Mariah Carey albums are getting a lot of hype lately; her latest album, Caution, which people are calling her strongest work in years, and her 2001 album Glitter. Glitter, which was the soundtrack to the movie of the same name, flopped when it first came out, but the hashtag #JusticeforGlitter has gotten the underrated album back on the charts. What this has proven is Mimi has a catalog that should be perused again. And luckily, she will make a playlist catered to your taste. Using her chatbot and answering a few multiple choice questions, you get a playlist made for you. I choose “GTFO” “Honey” and “Sassy” and this is the playlist I got. It always great when artists market their music in fun ways, and this definitely got me more interested in checking out the new music than I was before.